Are you looking for 2004 Bentley Transmission Repair in NJ? European Exchange is one of the sole suppliers of imported parts to the transmission industry. As the 2004 Bentley transmission specialists in NJ, we have the experience and expertise to provide transmission repair, transmission replacements and transmission rebuilds for any number of 2004 Bentley car models. The transmission is the heart of your car. It is important to have your car's transmission running in top condition. At European Exchange, we will provide the services that you need in order to get your 2004 Bentley back in working order. Transmissions are an imperative part of every vehicle. There is no way a vehicle can work if the transmission is faulty. It is the brain box that ensures smooth and efficient shifting of the vehicle gears for easy mobility from one point to another. Just like any other machine, a car is also prone to mechanical failures or problems. Transmission problems are the major problems vehicle encounters which made automobile transmission repair an expedient measure that must be accessible once such problems come into existence. The automotive transmission repair system of a car is complex because it is always subjected to higher chances of problems and hitches which make reaching out to a professional for a repair a must-to-do action while doing auto transmission repairs of vehicle. There are some tips that help to solve preliminary issues of a transmission. Fluid-related problems are popularly known as the troubles encountered by a gearbox. A transmission fluid leak can be traced to several reasons like a broken seal, loosening of the filler tube, defective pan gasket and poor installation which invariably alter the efficient running of the vehicle system. The transmission system, sometimes due to very high temperatures, experiences a lot of wear and tear resulting in an eventual breakdown and cause fluid leakage. Also, when the transmission fluid is changed; it is advisable to apply sealant on broken parts to keep the system trouble-free and enable the car's machinery to work efficiently. Transmission Slipping is one common problem a vehicle's transmission encounters. Research shows that 90 of 100% of the times when trouble occurs is due to irregular increase in engine RPM (Revolution Per Minute), abrupt down-shifting (that is vehicle at high-speed unexpectedly shifted to lower gear without changing the speed) and delayed in vehicle`s acceleration which consequently result in abnormal jerking movements in automobile anytime the gear is changed. The way to solve such problems is to have a routine check of the transmission fluid levels and replace the broken vacuum lines of the engine. One of the major vehicle hitches transmission should be guided against is overheating. What triggers the temperature of the vehicle engine sometimes is frequent “stop and go” in heavy traffic or carrying heavy weight resulting to a blockage in the fluid cooler lines. It could also bend the metal elements and hardens the rubber seals of the transmission system which may cause the fluid to leak. Hence, vehicle users by every means put in place measures that protect the engine from overheating. Note that the relationship between the fluid and transmission can never be overemphasized. It is however important to make sure both work hand in hand. If you discover your vehicle is leaking a red fluid; no doubt, it’s the transmission fluid. Also, make sure the filter is clean to keep you fluid fresh. For more information about our 2004 Bentley transmission repair in NJ and other transmission services offered, call us at 201-880-6633. We look forward to hearing from you! 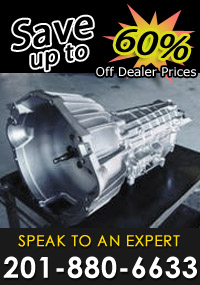 European Exchange – Your trusted source for 2004 Bentley Transmission Repair in NJ.